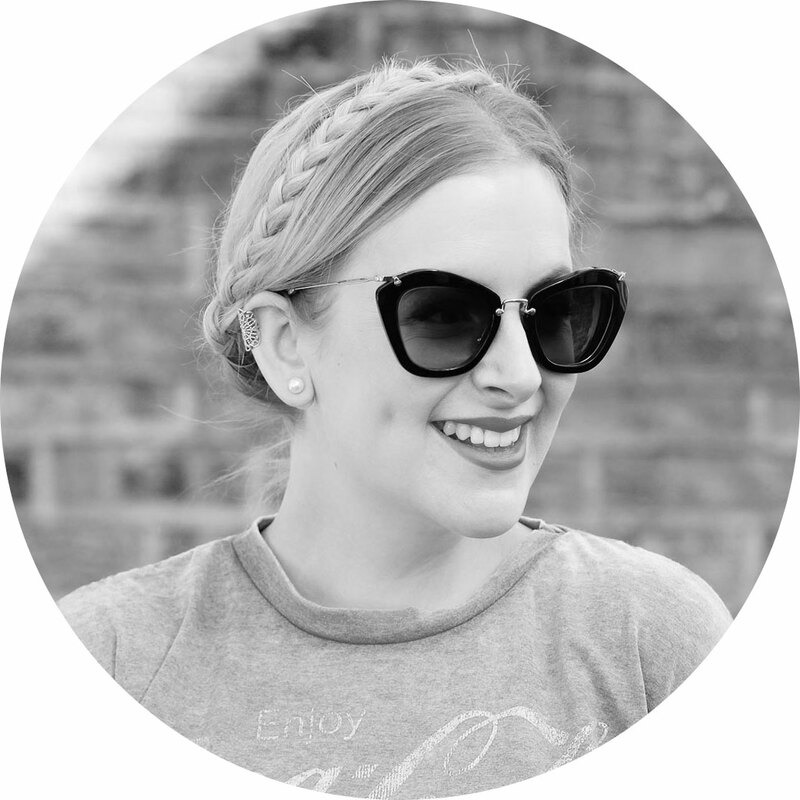 Today I’m hiding behind the camera lens and tackling an issue that’s centred in fashion and blogging – won’t you join me for a discussion? Well – do you? I think I might. I’ve always loved clothes and since my first job as a pot washer at an Italian restaurant, most of my wages have been sartorially spent. I’m a functioning addict – I don’t have an out-of-control debt, and my fridge is as full as my wardrobe. I can still buy food and pay bills and have a life, but I have a reliance on new purchases that makes me uncomfortable. I’m an emotional shopper – when I’m feeling sad, or stressed, or even just bored, I love wandering round the shops. New purchases are the perfect pick-me-up after a bad day – they may be small, high street items, but if you have an average of two bad days a week, they soon add up. And the high street is not solely to blame – second hand shopping is just as addictive, if not more so. With charity shops, you’re always chasing the next bargain… and the rush that comes with finding it. For someone who has a predisposition for impulsive purchasing, fashion blogs can be a minefield of triggers. As fashion bloggers, we display our tendencies for consumerism with every post, often making it ridiculously easy for readers to join in by using direct purchase links to the items we’re wearing. So easy, in fact, that The Man Repeller made $10,000 in two months when she started using affiliate links. There’s such a stylish display of fabulousness on blogs that I find myself coveting every outfit, wanting every item (and the necessary accessories) and adding more and more to my wishlist. For me, there comes a time when responsibility needs to be taken. Sometimes that’s when you hit your overdraft limit (and then some), or when your wardrobe collapses under the strain. The tagline for my blog is ‘fashion for the skint yet stylish’, yet the conveyor belt of clothing that appears here may make you think otherwise. And I didn’t start this blog as a way to display my vast assortment of chunky knits. So I’m taking control, cutting down and clearing out. I want to recapture the sentiment that so attracted me to blogs in the first place – that notion that we don’t all have endless rails of beautiful clothes, but that we can work with what we do have and still be fashionably relevant. Will you join me? Do you find yourself shopping too much? Do the blogs you read encourage you to shop more than you usually would? Do you feel the pressure to wear or feature new things on your blog? I wish I could shop every day for clothes and homewares and furniture. I’ve just moved countries and into a new home so there is a lot of stuff that we need, and more stuff that we want! I have never identified with a blog post more than I have this one! 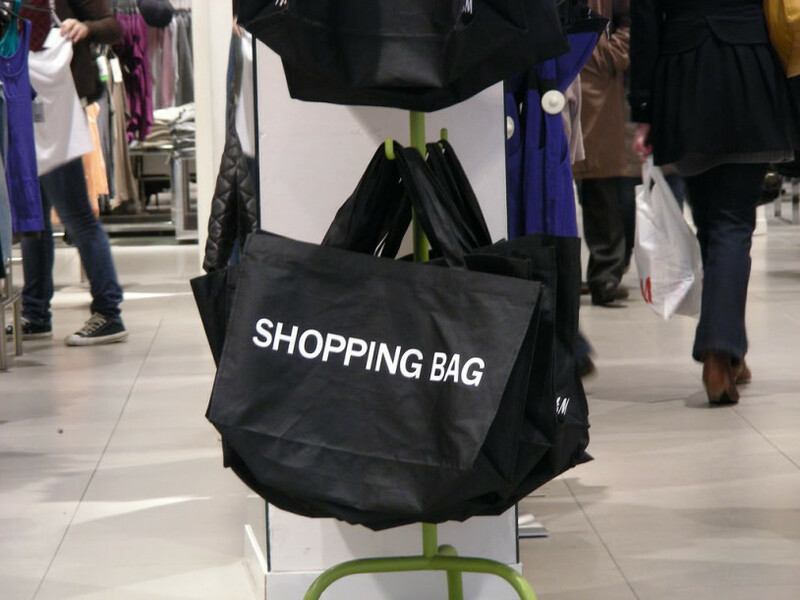 I am 100% a shopping addict, its not even the owning of stuff that I enjoy most its the actual purchasing and walking home with an arm full of shopping bags that gives me the buzz. I buy clothing and never actually wear it, which is a MASSIVE problem that I’m really trying to work on. I only discovered the extent of it a few weeks ago when I went through my wardrobe and found about 15 pieces that still had the tags on. I am starting to bankrupt myself doing it, my overdraft is still maxed out from my student days despite having a job for 6 months now, it needs to stop because it is getting dangerous for me. Blogs definitely influence me, its inspiring to see people wearing outfits that look so great that I could totally see on myself, but I already have enough clothes. I have 2 large boxes, 1 pop up rail and an Ikea bag full of clothes I’ve fallen out of love with but somehow they never quite make it on to eBay. Reading blogs definitely encourages the spendaholic in me. Fortunately I am very aware of my budget and the limits of my spending power. I think that blogging has encouraged me to shop more. Living in the middle of nowhere though I don’t see many shops! Oh God do I have an issue. I am too a functioning addict. I don’t get into debt over my shopping – at least not anymore but I do buy way too much! The main argument I have with my husband is over my barely controlled spending. My favourite thing to do is surf online shops and more often than not I hit “buy” on something I don’t really need (at the moment its green jeans – 1pair from Evans, 1pair from ASOS curve – who needs 2 pairs of green jeans??!). As I’m plus sized, I don’t really find too much in my size in charity shops etc. Instead I can easily drop a £100 on 3 items from Evans or ASOS or DP. Its scary! Last night I had 3 baskets of stuff in various stores and when I added up how much it was going to cost me (nearly £300) I knew it was time to step away from the PC!! Blogging doesn’t help – I see someone in an outfit that I want and the next thing you know, I’m hunting for those bits. Its terrible!! So I’m with you on the no spending, cutting back and using what I have in the wardrobe. Everything you say here resonates a truth with me, as I’m sure it will with many readers. I am most definitely a shopping addict! Though I’m not quite sure what it is that compels me to trudge in to town so often; I’m just as likely to hit the High Street after a bad day as I am after a good one.. There exists within me just this constant need to buy new things. I’m fairly good at clear-outs and regularly sell things on ebay if I genuinely don’t think I will wear an item again, but the space I create is soon re-filled with new purchases, rendering the whole process rather counter-productive..
Great post! Yes I definitely got carried away when I first started blogging. That is the main reason that i turned to ethical fashion. Second hand clothes, charity shopping and DIY are a great way to constantly refresh your wardrobe with a minimal impact on the environment and my purse. But even charity shopping can be addictive so I have to try not to get carried away. Gee whizz Jen, how do you manage to hit the nail on the head so often?! I am with you 100%. Admittedly my low bank balance is due to the obligatory Christmas shopping, but it’s made me think about how much cash I do so easily fritter away. And I’m certainly guilty of feeling pressured to make new purchases to provide blog content. So yes Jen, I join you! Forget the 30 Day Spending Ban, I’m going all out and saving my pennies for the foreseeable future! After all, how many nail varnishes, skirts and jumpers does a girl realistically need? I don’t think I buy as much as I used to. These days, I try to buy things as more of an “investment” and things I really love that I think I will get a lot of wear out of. But then again every few months I like to go on a Primark shop with my mum which is something I love doing. I definitely do have a shopping addiction, but right now its fully under control. Wind back 5 years and I was shopping to cheer myself up (and constantly sad) and almost 10k in debt, unable to pay my rent or buy food. I soon realised that there were deeper problems that needed to be addressed and found the shopping naturally took a back seat. Now I am happy in life and rarely get down or sad. I do feel extra happy when I shop and get excited about a new purchase. I also find reading blogs encourages me to buy more, however as I’ve become more in control of my feelings I am luckily also more in control of my spending. I was just thinking and writing about this this morning as well and was glad to read your post. This is a powerful and thoughtful blog post that I can certainly empathize with…I’m a teenager, and I buy most of my “extra clothes” (as in, things I already have in another color or pattern or thing I don’t necessarily need) with my own money. That being said, I don’t have a job and make a small allowance, so I have to budget what I receive and spend it wisely. It’s very difficult to do, though, because the fact that I can’t drive makes it so I can only go to the shops when my parents or friends want to give me a ride. This limits when I can shop greatly…and always proves to be extremely tempting in terms of spending my money. I do find my allowance money and holiday money going one of three ways: coffee fund, clothing / makeup fund, or bank fund for my trip to Paris in a few years. What a great blog post. I always find myself envying bloggers, who appear to have a limitless budget. However, I really much more admire fashionistas who are able to re-work and re-invent looks. In my opinion that shows more creativity and greater fashion sense. i love shopping a bit too much i think it’s like a bad addiction for a fashion blogger. I have stopped so much though! 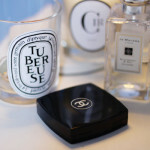 I think the blogs we read make us want to buy more though! Oh Jen, you always hit the nail right on the head in your blog posts! This is so true – I may not be out of control, but if I haven’t bought anything in a couple of weeks, even something little, then I start to feel antsy. The thing is I love shopping – and I don’t want to feel guilty about enjoying something, even if it’s not exactly a hobby! It’s the usual ‘I worked hard for my money, why shouldn’t I buy something nice for me? !’ but I do need a closet declutter asap as I have too much stuff that I just don’t wear, and you are right – showing off new stuff is not what I started blogging for at all. I completely and utterly found myself nodding my head and thinking ‘yup, can identify with that!’. There is no doubt I’m addicted to shopping….the fact family and friends know me as ‘she likes to shop’ is probably a sign, as is people telling me that Becky Bloomwood of a certain chick lit novel reminded them of me is too! But I often feel like I dont buy new clothes often enough to keep up with the blog elite….that I should be walking a parade of new purchases across my blog. I definitely find myself lusting after clothes more often….simply because sometimes they draw my attention to labels I’d not heard of before, or it shows me how to wear something I’d previously disregarded when shopping….never mind that said other blogger could be an entirely different shape to me and thus said reason why it looks better! But I’ve been trying to not buy anything new for a while, and blog what I own….to try and use my wardrobe in new and interesting ways…I feel quite proud of myself for not subcumbing so far, but there’s also a part of me that feels by not spending like a crazy person thats the reason why I’m not where I’d like my blog to be right now…. All of that being said, some of my favourite blogs are those that simply blog with love….it doesnt matter what the outfit is, as long as you feel the person actually enjoys what they’re wearing and had a good time doing so, that resonates sooo much more than how new something is…. But yeah, I’ve definitely got issues to work on when it comes to my relationship with the old shopping lark! This is a great post, you’ve made some really good points. Personally, I am so aware of the money I spend that I never spend too much, because even when I’m not even near spending alot I start to feel guilty. I have had the thought of “this would make a great blog post” but I try to put that aside and consider if I really like something. At the same time, it’s sometimes helpful to think something is good for a post that you might not normally wear, it helps me vary my still a bit. I am totally an emotional shopper, it’s terrible! Difficult week at work then i deserve to buy something to cheer myself up. If i’ve achieved something then i deserve it to celebrate and if i’m bored i’ll use my bus pass to go to town at the weekend and shop for something to do. I do the same with food, as if purchasing something will make me happier when really it doesnt. Sigh! Great topic and food for thought. It doesn’t matter where you buy it from, if you don’t need it then i guess we shouldn’t buy it! Great post Jen, I think blogs have definitely helped in my shopping addiction, I need that bag as they have it, and it looks great so I must. Although with the house now and having a mortgage (grown up!!) I have found my addiction is more housewares rather than what I wear. A great post, and so true on many levels. I’m definitely an emotional shopper, but I’m also terrible for ‘buying a new oufit because I’m going out’. Whether that be a night on the town or a dinner date with the girls, I always seem to find an excuse. I don’t think I do enough experimenting with my wardrobe either. On a morning before work I throw on tried and tested outfits because it’s easy and half asleep. I really should work on that and see the full potential of what I already own, it might help me stop purchasing so much. Fashion blogs are terrible for encouraging consumerism – not actively, but just merely by how they operate as you suggest. But while I might think ‘OOh what a lovely outfit, would love those shoes/bag/etc’ more often than not give me 24 hours and I’ve forgotten it. I don’t impulse buy any more as I learnt very quickly I need time, energy and a freaking list to work out what I should be buying, clothes-wise. I currently have three items in my head that I want after seeing them in shops/on blogs, but my aim? To make/thrift all of them. I completely understand this too. I’m not an impulsive buyer as such- but I do definitely enjoy shopping a little too much. I am an emotional shopper as well as an emotional eater- so if I am trying to lose some weight (which I am, after university’s reliance on ice cream to get me through essays) I will probably buy stuff instead. Which is not helping with my attempts at spending! Saying that though, that would also be massively helped by the Inland Revenue actually putting me on the right tax code after 3 months of work! Ten thousand? That’s crazy. I have the addiction but I think it’s all relative really, as long as you don’t get into massive dept , there’s no need to worry. x hivenn p.s enter my $200 shopbop giveaway? Even though I love Fashion and Fashion Blogs. I increasingly find myself enjoying blog posts about the things that people like to do rather than what they buy. BUT the pull of Primark can sometimes be too much even for the strongest amongst us. And you are SO right that the little bargains soon pile up, and you can end up spending more that way! I follow and read somewhere in the region of 350 blogs. Most of these are not professional blogs or even some of the wider-followed blogs where the blogger is sent things to review. I often find myself taking a step back and wondering where the cash to purchase the conveyor belt of new items featured comes from. Please don’t get me wrong, I’m not judging, it’s their money, their blog, their choice. But it does make me wonder. And as somone who sometimes posts outfits and purchases, I find myself wondering from time to time if I should be posting this combination or that, because I’ve blogged some of it before, and haven’t bought anything new since my last payday treat. Thought provoking peice, as ever. Blogging has definitely created an addiction because I go “Oh she looks cute in that I want!” I’m trying not to shop now because Christmas is coming up so I’m sending my wants to family and friends and hopefully they’ll buy it for me (lol!). WOW $10,000 that’s insane! Completely agree. I don’t buy a lot from the high street but any kind of shopping (even and especially charity shopping) can be addictive. I will always love the thrill of finding a bargain but you’re right to take a step back, otherwise we hardly have chance to appeciate what we have bought before we’re onto the next purchase. Work with what you’ve got and get creative is great advice. I was already an addict but blogging has made it soooo much worse. I have tried putting myself on a budget but that doesn’t work + reading blogs make me want to shop more definitely. Like if I see an OOTD with a nice pair a shoes I run off to go get them or similar pairs. Its really bad. I say we set up shopaholic anonymous. I’ve been in my job nearly 6 months now and before that I rarely treated myself to that new dress or those gorgeous shoes I just have to have! I’m sensible enough with my money that I never get into any kind of debt so that’s not a problem for me but I’ve been blogging for a few months now and it has definately influenced me to spend more on clothes. That and the fact friends comment on me having a nice outfit every now and then is such a confidence boost even if its just about clothes.